Announced in a joint press release, the acquisition represents a successful exit to eero’s startup activities, which began in 2014. Details of the deal have not been disclosed pending closing conditions. It appears that Amazon will use eero to further an ongoing push into the smart home space that began with the e-tailer’s line of Echo speakers. Loaded with Alexa voice assistant smarts, the smart speakers serve up answers to general customer queries and present another access portal to Amazon’s online store. In 2017, the startup updated its lineup with a tri-band Wi-Fi base station and dual-band Beacon devices that plug directly into wall outlets for easy installation. Perhaps of interest to Amazon, the second-generation hardware features Thread radio components for communicating with low-power “internet of things” devices. Beyond Limp’s statement on “innovating on behalf of consumers,” Amazon’s plans for eero are unknown. Amazon’s Echo range would make a suitable platform for integration, potentially offering users both Alexa and enhanced Wi-Fi with a single device. 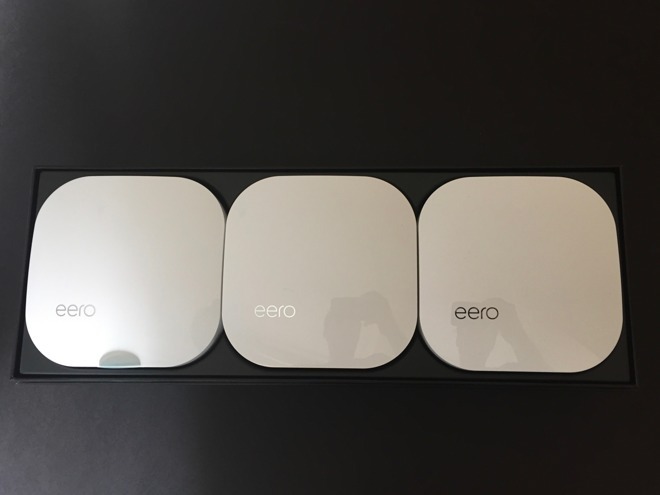 In return, Amazon will likely retain unfettered access to eero users’ internet usage habits.